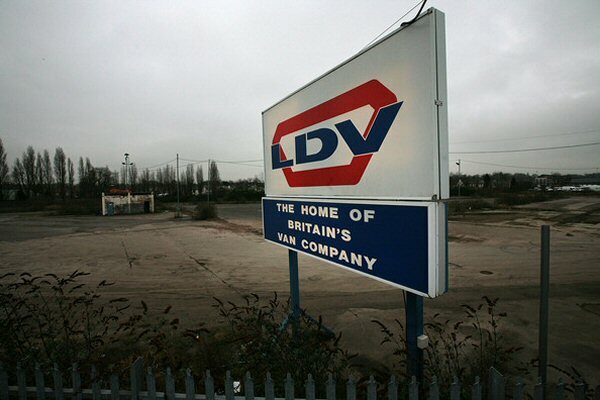 Months of agonising continues for hundreds of LDV workers after a hearing to place it into administration was adjourned again. Lawyers for the Washwood Heath van-maker returned to Birmingham County Court for a second time this month yesterday after applying to go into administration weeks ago. The company now hopes to restart production after Russian owners GAZ agreed to sell it to Malaysian firm Weststar, aided by a £5 million Government bridging loan, but a delay in paperwork means the hearing will adjourn until next Monday. LDV spokesman Guy Jones said the loan was expected to be finalised by today so directors can focus on negotiations for the future of the company. He said the deal would help secure “the maximum number of jobs possible” but could not guarantee every job would be saved. Judge David Cooke was yesterday told by Brian Rawlings, representing LDV, that confirmation on a loan from Barclays bank had not yet been signed. But, if approved, the banking facility of up to £5 million, guaranteed by the Government, could save up to 850 directly-employed workers and thousands more in the supply chain. Mr Jones has previously confirmed that the deal would secure production in Birmingham. The court hearing was first adjourned last Wednesday, just hours after it emerged that the Government had offered a bridging loan while talks with Weststar continued. The factory has been at a standstill since before Christmas and there have been growing fears about its future. LDV’s management issued a statement last week thanking the Government, Birmingham Hodge Hill MP and Cabinet Office minister Liam Byrne and other “key parties” involved in securing a future for the manufacturer. “We appreciate this is a difficult time for the government but this support allows time for negotiations to be concluded to secure thousands of British jobs, when the alternative would almost certainly have been the loss of them all,” it said.